In an article recently published in Current Medicinal Chemistry, Matturi et al. 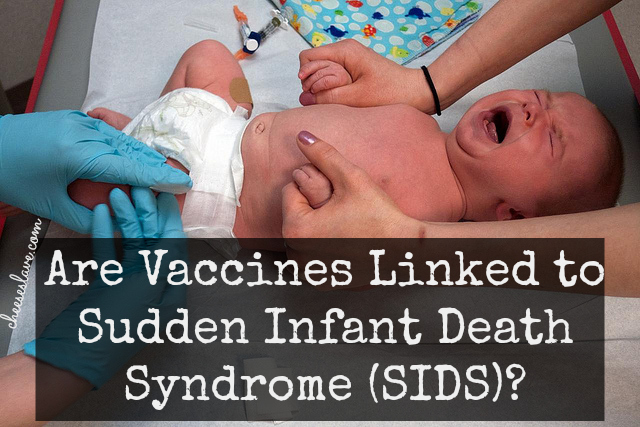 attempted to claim that the hexavalent vaccine (a combination of DTaP–Hib–IPV–HepB, used in Europe) was associated with (or even caused) sudden infant death syndrome (SIDS). This is one of those antivaccine tropes that has more zombie resurrections than an episode of the Walking Dead. But before discussing what the article says, let’s critique the quality of the journal and the background of the authors. First, let’s examine the journal where the article I’m discussing was published, Current Medicinal Chemistry, which is produced by the notorious (not exaggerating) publisher Bentham Science. Bentham is accused of being a predatory publisher, meaning they charge the author to publish an article, probably because the article can find no audience in better, higher quality journals. In addition, predatory publishers are corrupt and exist only to make money off the author processing charges that are billed to authors upon acceptance of their scientific manuscripts. There is limited peer-review, it’s really just an outlet for garbage science. Bentham is well-known for publishing a 9/11 conspiracy theory paper in a physics journal, for accepting an article that was written by a computer that randomly generated phrases, and for keeping “editors” on the masthead of the journal, long after the editors resigned because they didn’t want to be associated with such cruft. It is so ironic that the vaccine deniers leap onto the backs of an article published in such a laughably and demonstrably worthless journal, yet those same antivaccine lunatics criticize anything published in respected journals, because it doesn’t agree with their world view of vaccinations. We can assume, because this a Bentham Science publication, that there was no peer review, no editorial review, no anything except the exchange of cash from the authors to get this paper published. Now, if this paper were published in Pediatrics, I would, of course, worry about the vaccine. This is because Pediatrics has a powerful peer review, and they take their responsibility to the health of children to such a high level, the journal is known to take very conservative positions with vaccines, even if the evidence is light. For example, they wanted thiomersal removed from vaccines well before there was evidence of its safety (and they withdrew their demand). As for the authors, they are an interesting crowd. They all work at the “Lino Rossi” Research Center, Department of Biomedical, Surgical and Dental Sciences, University of Milan, Italy, which seems to focus on SIDS. The first author, Matturri, has authored or co-authored numerous articles about all kinds of environmental effects on SIDS. 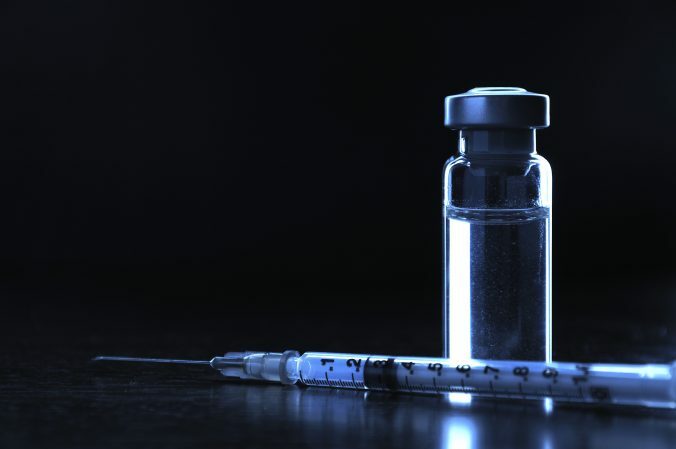 In fact, the rate of infant mortality, and SIDS specifically, has dropped by over half in Italy and other European countries since the launch of the hexavalent vaccine. It becomes almost impossible to study environmental causes of SIDS, because the SIDS rate is dropping so precipitously, which is going to mask any causal associations. Moreover, because of improved forensic techniques, many SIDS cases have been characterized as accidental suffocations, homicides or child abuse, reducing the rate irrespective of environmental causes. This is the usual antivaccine piffle. HPV is a vaccine-preventable disease. It makes sense in many populations to vaccinate against it. HPV vaccination itself is pretty crappy at preventing reinfection—according to the results of the very study that Ji and Brogan themselves try to use to claim that we shouldn’t vaccinated against HPV. Truly, in the antivaccine world of Brogan and Ji, up is down, left is right, right is wrong, and we have always been at war with Eastasia—and apparently a study looking at the correlation between antibody levels and reinfection tells us that vaccinating against a first infection is inferior to “natural infection.” Of course, if our immunity to a primary infection were so great, we wouldn’t need a vaccine in the first place. Either Ji and Brogan are incredibly ignorant, or they’re intentionally obfuscating. Take your pick. Neither possibility reflects well on them. Sadly, Sayer Ji is apparently none too good at handling criticism. There was a meme designed to respond to Ji and Brogan’s torturing of this particular study into submission to the anti-HPV vaccine cause that pointed out the main point that I discussed here (that the study doesn’t show what Ji and Brogan claim that it does) and pointing out how deceptive Ji and Brogan’s article is. I’ve learned from the creators of that meme that Ji has been threatening legal action for defamation, leading them to take the meme down rather than put up with the irritation. Bad analysis, bad science, and legal bullying from supporters of “natural” healing? Same as it ever was. You know what, this junk-science paper is not worthy of my time to criticize. Let me just present what the real scientific literature says about SIDS and vaccines. This is much more useful, because there’s a lot of evidence out there that dismiss any causal link between immunizations and SIDS. One myth that won’t seem to go away is that DTaP vaccine causes sudden infant death syndrome (SIDS). This belief came about because a moderate proportion of children who die of SIDS have recently been vaccinated with DTaP; and on the surface, this seems to point toward a causal connection. But this logic is faulty; you might as well say that eating bread causes car crashes, since most drivers who crash their cars had probably eaten bread within the past 24 hours. In a 2012 systematic review article by Kuhnert et al. published in Vaccine (a real, high impact factor, peer-reviewed, prestigious journal), the authors concluded that “there is no increased or reduced risk of sudden infant death during the period after the vaccination.” They just were unable to see any increased risk of SIDS over time and in various groups after vaccination. The only group that seems to be pushing this hypothesis about SIDS and vaccines is the group at the University of Milan. All of their articles are published in “pay to publish” predatory journals of low quality. No one is repeating their information. No one is citing their work. If there really was a causal link, the number of papers that would be jumping on these studies would be incredible. OK, I’m done with this. Two antivaccination papers that were published in junk journals, that had unknown or unremarkable authors, that included weak or nonsense data, and that go against all of the scientific consensus in two days. There’s nothing there. Global Advisory Committee on Vaccine Safety, 9-10 June 2005. Wkly Epidemiol Rec. 2005 Jul 15;80(28):242-7. English, French. PubMed PMID: 16047931. Kuhnert R, Schlaud M, Poethko-Müller C, Vennemann M, Fleming P, Blair PS, Mitchell E, Thompson J, Hecker H. Reanalyses of case-control studies examining the temporal association between sudden infant death syndrome and vaccination. Vaccine. 2012 Mar 16;30(13):2349-56. doi: 10.1016/j.vaccine.2012.01.043. Epub 2012 Jan 28. PubMed PMID: 22289512. Matturri L, Del Corno G, Lavezzi AM. Sudden infant death following hexavalent vaccination: a neuropathologic study. Curr Med Chem. 2014 Mar;21(7):941-6. PubMed PMID: 24083600.